In general, women's index and ring fingers are a similar length, while men have a greater difference between the two. It's nearly impossible to determine with the naked eye, though. How we end up as adults is most likely a result of both nature and nurture. Our genes determine certain things, while our upbringing and experiences have their own impact. Sexuality is one of the factors researchers are curious about - why some people are straight and others are gay, bisexual, or asexual. According to new research, someone's sexuality may lie in their hands. The study, published in the journal Archives of Sexual Behavior, found there may be a link between finger length and sexuality. Researchers frm the University of Essex recruited 18 sets of female identical twins, and 14 male, with different sexual orientations. They looked at their hands to determine how "male-typical" or "female-typical" they were. Usually, women's index and ring fingers are a similar length, while men have a greater difference between the two. It's known as the 2D:4D ratio. "Because identical twins, who share 100% of their genes, can differ in their sexual orientations, factors other than genetics must account for the differences," said Tuesday Watts, from the department of psychology. "Research suggests that our sexuality is determined in the womb and is dependent on the amount of male hormone we are exposed to or the way our individual bodies react to that hormone, with those exposed to higher levels of testosterone being more likely to be bisexual or homosexual. 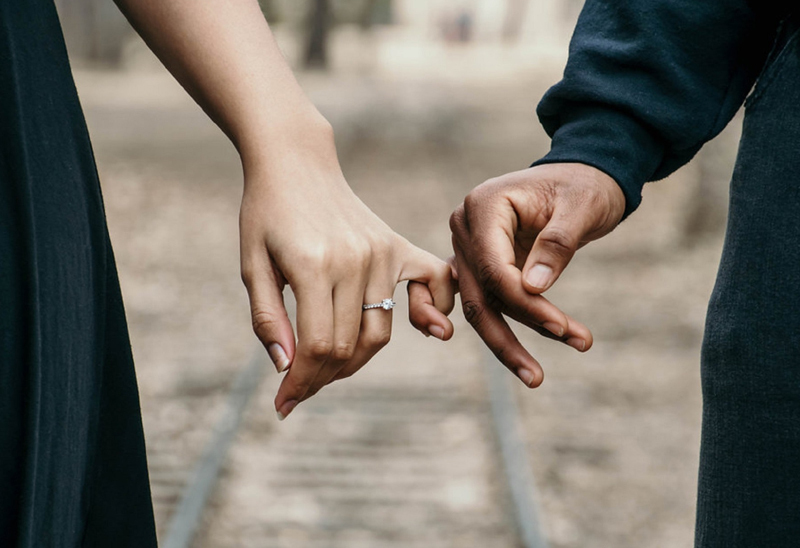 Because of the link between hormone levels and difference in finger lengths, looking at someone's hands could provide a clue to their sexuality." "When [my research partner] came back with the initial results, I was blown away," lead author Martin Cohn, a developmental biologist at the University of Florida, said at the time. "We looked at each other's hands, then got busy planning the next experiment." And the differences can start out young. A study of Scottish preschool children, published in Early Human Development, found a strong relationship between finger ratio and gender-normative behavior. For instance, girls with male-typical fingers tended to be more hyperactive and had more problems relating to peers than the other girls. The boys with female-typical fingers were more emotional on average. But you should be careful when looking at your own or anybody else's fingers, scientists warn, because the differences are often too small to determine with the naked eye. In many studies, they use a scanner to calculate the 2D:4D ratio precisely. "You have to be careful," John Manning, a biologist at the University of Liverpool, said in Psychology Today. "You can't look at someone's fingers and make a determination about whether they are heterosexual or lesbian, just as you can't decide whether they're neurotic. The [sexuality indicators] are most certainly there, but they're not strong enough to allow us to make predictions."